Abies sachalinenesis var. gracilis, first described in1901 by Vladimir Leontyevich Komarov (1869–1945) is native to Russia's Kamchatka peninsula. 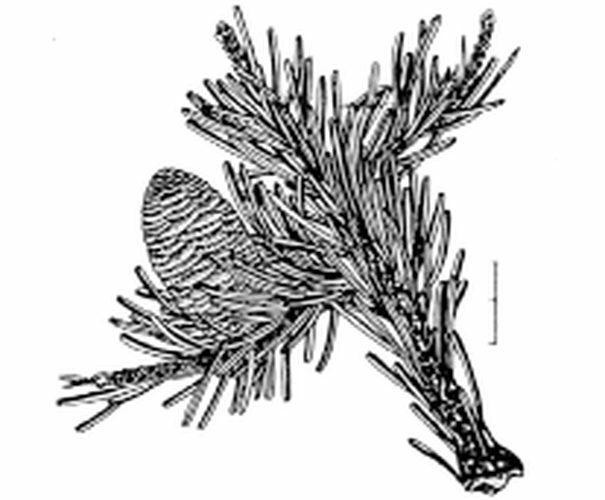 It differs from the type through shorter needles (to 0.8 inch/20 mm) and smaller seed cones with exserted bracts. This database was developed and is maintained by dedicated volunteers. If you are are using it and are not a member, consider joining or donating to the ACS to support this and our other educational projects.